Although Sapa is a region remote and wild, it can be said that it is truly a well-known place to visit with rich culture, different hill tribe minorities, lush valleys, magnificent rice fields, and the towering mountains. 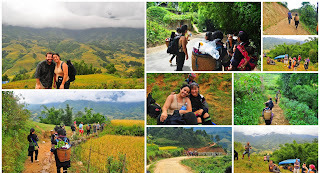 In fact, if you are eager to look for an ideal place with many wonderful scenery, the cool climate, and the unique cultural values for your upcoming vacation, Sapa, a lovely station hill town in Northern Vietnam is always considered one of must-see-places for any trip to Vietnam, will be a perfect choice for you. 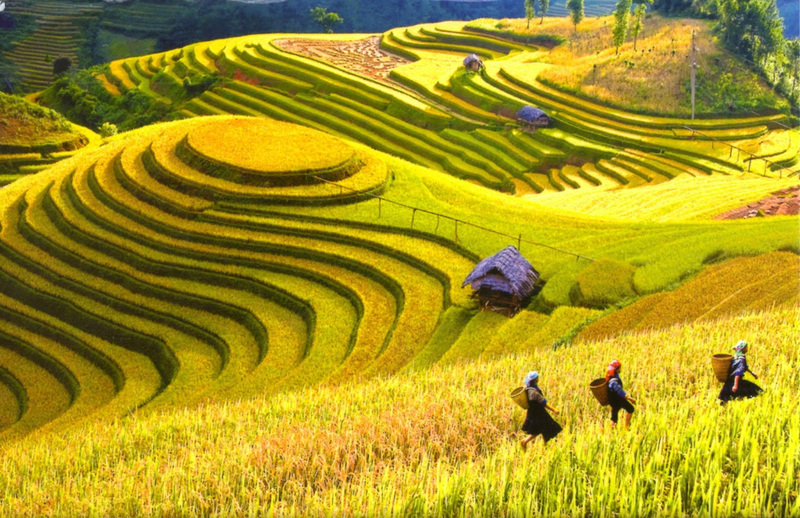 As you can see, Northwest Vietnam is always most gorgeous and captivating in this time with the immense terraced rice fields. This is considered the time of ripe rice is also called Sapa's the golden season. 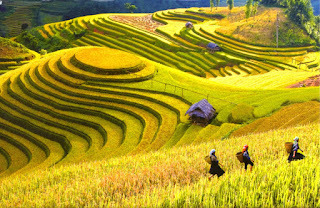 Surely, you will be hypnotized by a Sapa covered by an immense space of the yellow at the moment. 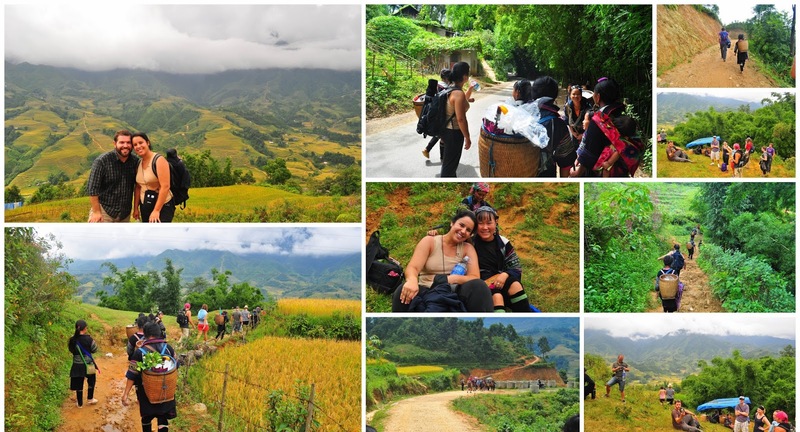 Therefore, don't miss the best moment to discover and admire the picturesque highland town of Northwest Vietnam where you’ll trek through scenic valleys, encounter the Red Dao and Black Hmong ethnic hill tribes. 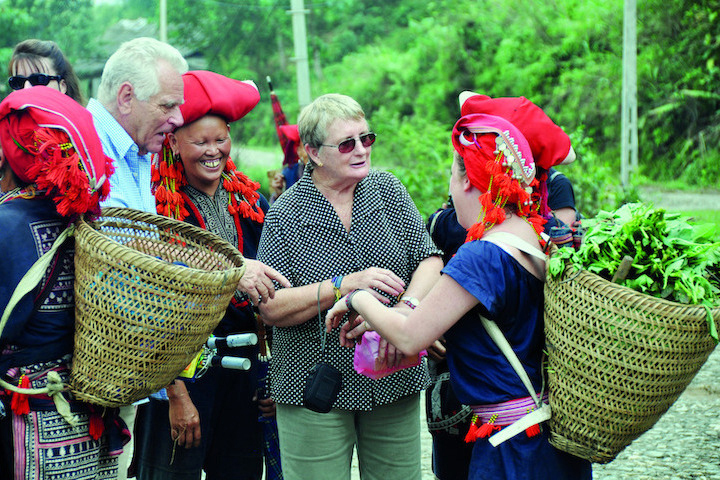 Especially, Especially, Bac Ha Market, a market colorful and famous in Sapa will bring you an unique and unforgettable experience in this paradise land. Hurry up! Do not miss the golden time for your interesting vacation in Vietnam by connecting us right now to embark on this unique trip.